Hit a home run for liberty with the Infowars Live Free Or Die Baseball T-Shirt. A modern version of the traditional 3/4 sleeve baseball shirt, this soft and lightweight shirt is made from combed ring spun tri-blend of polyester, cotton, and rayon. 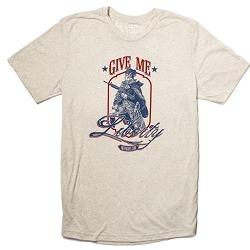 The design features the motto Live Free or Die, a phrase attributed to Revolutionary War hero General John Stark of New Hampshire, that has become a slogan for all who prize liberty and personal independence. The shirt is further adorned with a patriotic American Eagle at the top and Infowars.com in small print at the bottom. Get your shirt today and help us strike out tyranny. 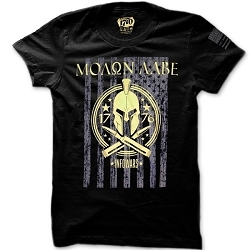 The Infowars Live Free Or Die Baseball Shirt is part of our Made In 1776 line of premium patriot apparel. Celebrate the spirit of freedom and liberty upon which our nation was founded. 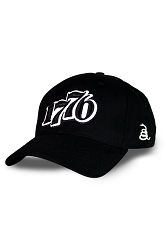 Made in 1776 is dedicated to bringing you distinctive patriotic designs on the highest quality apparel that is proudly Made In America.